Natroalunite-2c: Mineral information, data and localities. Originally named minamiite for Dr. A. E. Minami (1899-1977), later renamed natroalunite-2c for the structural relation (doubled c-axis) to natroalunite. 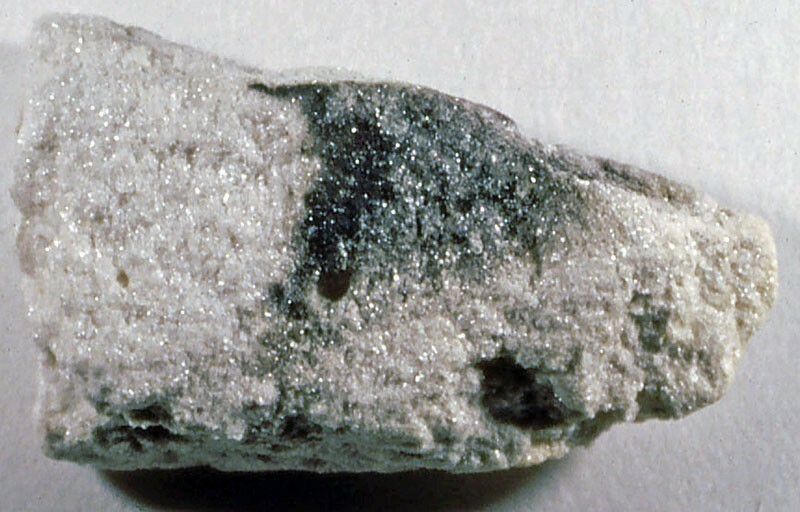 Originally named minamiite; renamed natroalunite-2c. Botryogen 1 photo of Natroalunite-2c associated with Botryogen on mindat.org. 25.6.2 Jurbanite Al(SO4)(OH) · 5H2O Mon. 25.6.9 Basaluminite Al4(SO4)(OH)10 · 4H2O Hex. 25.6.10 Hydrobasaluminite Al4(SO4)(OH)10 · 12-36H2O Mon. 25.6.11 Zaherite Al12(SO4)5(OH)26 · 20H2O Tric. Ossaka, J., Hirabahashi, J.-I., Okada, K., Kobayashi, R. & Hayashi, T. (1982): Crystal structure of minamiite, a new mineral of the alunite group. 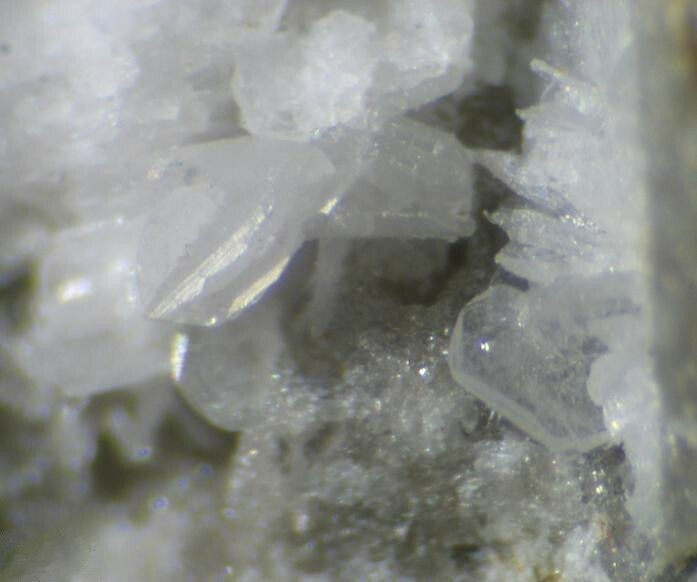 American Mineralogist: 67: 114-119. Bayliss, P., Kolitsch, U., Nickel, E.H., Pring, A. (2010): Alunite supergroup: recommended nomenclature. Mineralogical Magazine, 74, 919-927. Hikov, C. A. 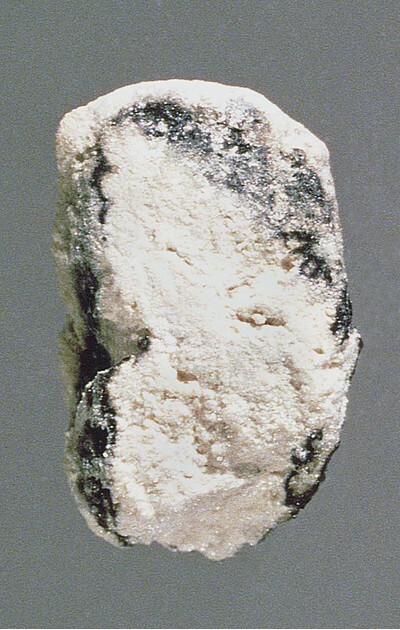 (2004): Huangite and Minamiite from Petelovo Deposit, Central Srednogorie. Comptes Rendus de l'Académie Bulgare des Sciences 57, 59-64.; Hikov, A., N. Velinova, S. Georgieva, A. Kunov (2011) Aluminium-phosphate-sulphate (APS) minerals in Bulgaria: characteristics and possibility for preservation. - In: V Intern. Symp. “Mineral Diversity Research and Preservation”, 9-15 October 2009, Sofia, Working papers, 37-48. Deyell, C. L., Rye, R. O., Landis, G. P., & Bissig, T. (2005). Alunite and the role of magmatic fluids in the Tambo high-sulfidation deposit, El Indio–Pascua belt, Chile. Chemical Geology, 215(1), 185-218. PXRD by John Attard, 27-02-2015, on material field-collected by Alfredo Petrov, 4-2014.